WASHINGTON, DC - JANUARY 13: Bradley Beal #3 of the Washington Wizards reacts against the Toronto Raptors on January 13, 2019 at Capital One Arena in Washington, DC. When the 2019 NBA All-Star Game starters are revealed on Thursday, it’s possible that Bradley Beal will not be among the 10 players announced. The fan vote accounts for 50% of the decision on starters, and Beal ranks tenth among Eastern Conference guards in the latest voting tally. The fan voting has historically been considered a popularity contest, and the popularity of a few players can greatly manipulate who ends up starting. Still, there are plenty of people out there, including ESPN’s Zach Lowe, who named Beal as a starter in the 2019 All-Star Game this season. Even if Beal does not get the starting nod, it seems highly likely the coaches will vote him in as an All-Star reserve for the second straight season. Through 46 games, Beal is averaging career-highs in points (24.7), rebounds (5.0), and assists (5.0) per game. His 24.7 points rank 13th overall in the NBA and sixth in the East this season. Beal has 36 games of 20 or more points, and joins Stephen Curry, DeMar DeRozan, Jrue Holiday, and Kyrie Irving as the only guards to average 20-plus points, four-plus rebounds, four-plus assists, and 45.0% shooting or better this season. In January alone, Beal is seventh overall in the NBA and leads all Eastern Conference guards in scoring at 29.0 points per game. Beal is also shooting 40.8% from deep, grabbing 5.3 rebounds, and dishing out 6.2 assists. The 25-year old All-Star has two 40-point triple-doubles in the past month (12/22 vs. PHX, 1/11 vs. TOR), as well as an Eastern Conference Player of the Week honor in early December. Behind the impressive statistics, step-backs, and 3-pointers is just simply an impenetrable willingness to win. Whether it’s taking a charge from Joel Embiid, chasing loose balls, or diving for a ball, Beal’s desire to taste victory after every game is contagious. That extra effort and will helps make Beal one of this team’s leaders, something he has embraced. 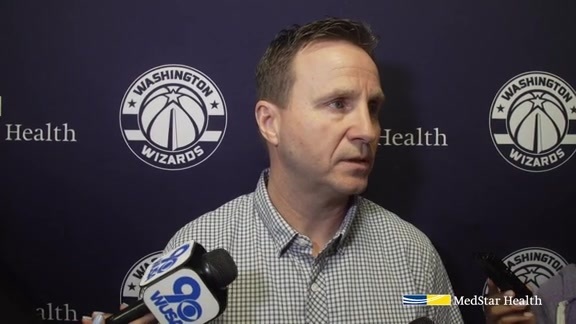 “He knows he's an All-Star; he knows he's one of the best players in the league,” head coach Scott Brooks says of Beal. “He knows he's one of the best two-way players in the league. All you got to do is just go out there and compete and things are going to end up working for yourself. The “right way” is often taught at a young age to developing basketball players. Coaches instill the fundamentals of the game – making the pass to the open man, taking open shots that a player considers makeable, communicating and helping on defense, and filling lanes on the fast break. Playing the right way and making the correct play at the NBA level is another level of development, and a level that Beal has now reached. After being known as a shooter, he then became a scorer, a stronger defender, and now a playmaker. Beal’s impact for the Wizards has been substantial, especially with John Wall, Dwight Howard, and Markieff Morris missing significant time. Without those three projected starters, Beal was obviously going to be asked to do more. Still, Beal has not tried to do it all by himself – he trusts his teammates and relies on them to accomplish their goals. Trevor Ariza played with Beal during his first stint with the Wizards, which were Beal’s first two NBA seasons. Beal has clearly revolutionized his game and become an even better player and leader. Since returning to Washington during this 2018-19 season, Ariza has praised Beal for what he’s become and how he’s a leader of this team. Whether Beal is named a starter or reserve or somehow snubbed of the 2019 All-Star Game, he’s been playing at an elevated level worthy of some of the NBA’s highest honors. The Wizards are playing much better as of late, winners of seven of their last 10 games and 12 of their last 15 home games. Beal’s growth and impact is being noticed around the NBA, and hopefully that will culminate in another All-Star nod. 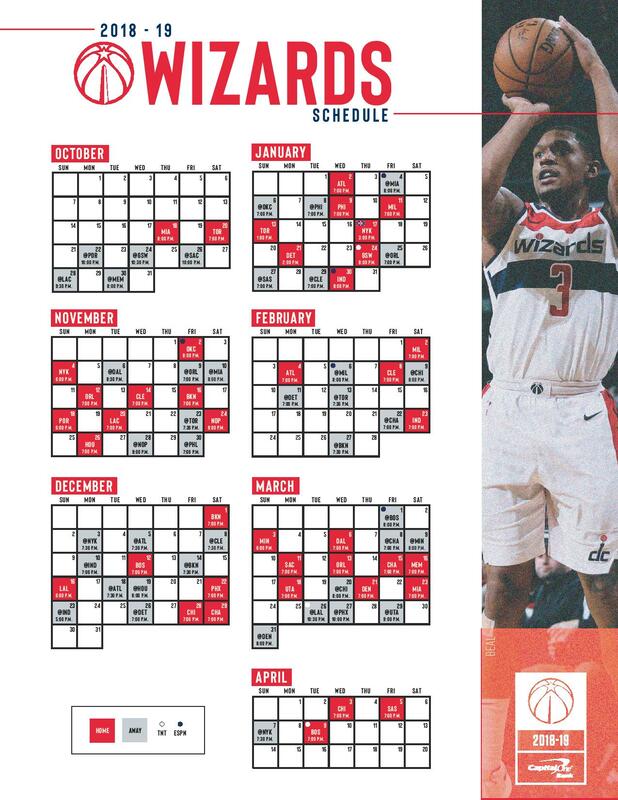 Below you will find the rest of the WashingtonWizards.com team’s picks for the 2019 All-Star Game.